DZ-115 Barrier Gate controller -- variable frequency type, is the enhanced barrier control which speed can be adjusted .Adopting full remote control mode, with the open /stop/close wire control interface ,counting interface, special encoder limit interface, loop detector interface, infrared interface, open limit,close limit output interface, communication interface.The remote control code is the learning code,and receiver module adopts external superheterodyne reception. 2.The case shell is made of thickened steel which is shaped by 13 process flow. Without fading ,waterproofing, not rusty, durable. 3.high sensitive limit switch, pole can be instant turn on and off .accurate location. 4.control system adopts hi-tech digital chip technology. 7.the movements adopts the most steady running mode –non-constant speed mode. Or the variable speed excogitation. (Slow – quick – slow ) .This function makes the operation steady and prolongs the working life. 1.Q: How long will your barrier working? A:barrier life span more than 10 years. 2.Q: What should we do if there have problems during using? A: We have 2 years guarantee. Any barrier problems you have, Welcome email or call me! We will provide our best professional service for you. 3.Q: First time import, how can i believe that you would send product? A: We are verified company by Everychina, to make transaction success . 4.Q:How to import your machines? 4. You can pick up barrier by bill of loading . 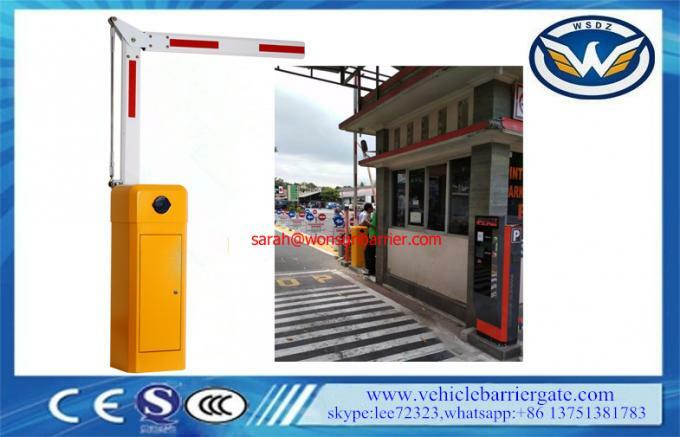 Name: High Quality Barrier Gate Operator With AC Reliable Electro-Mechanical Drive.